John Abraham has been awaiting the release of his film Parmanu -The Story of Pokhran. The actor took the legal route and filed separate complaints on the grounds of cheating, breach of trust, defamation, and offenses under the Information Technology Act against Kriarj Entertainment's Prernaa Arora. Parmanu has been delayed a lot since December. The film will not only be able to retain its release date to be May 25 but Bombay High Court ruled in favour of John Abraham and the association with KriArj Entertainment stands cancelled. Two years after action- thriller Force 2, John Abraham is back with Parmanu. Explaining why he took so long, he said, "I like taking time for the right subject. So, I am very happy to wait for two years and come back with this film. I am not only an actor; I am also a producer now. So, I am very clear in my mind about the kind of film that I want to make. I was sure from the beginning that we are not equipped to make an adult comedy; we can make films like Madras Cafe, Vicky Donor and Force. After Force 2, I could have signed 10 films out of insecurity, but I didn't do that. As a producer, I have the authority to decide what kind of film I want to do and what not." 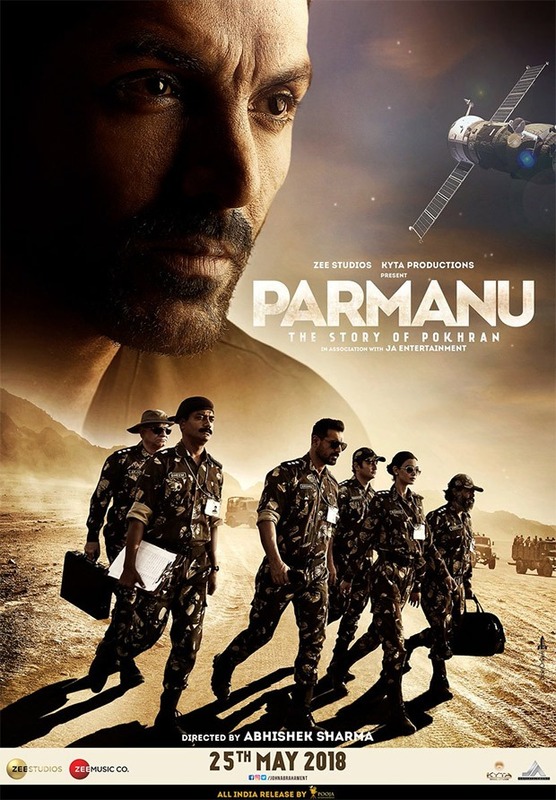 Written by Saiwyn Quadras and Sanyukta Shaikh Chawla, Parmanu - The Story of Pokhran also features Diana Penty, Boman Irani and Yogendra Tikku. Directed by Abhishek Sharma, the film is based on the biggest secret mission ever undertaken by the Indian Government where five nuclear bombs were tested in the Pokhran range in 1998. It will release on May 25 clashing with Harshvardhan Kapoor starrer Bhavesh Joshi Superhero.